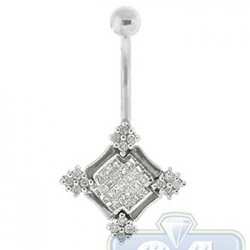 Pure chic in 14k white gold and 0.50 carats total weight of princess and round cut diamonds. 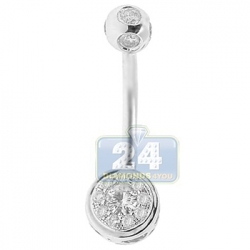 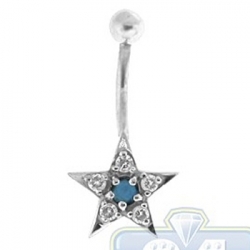 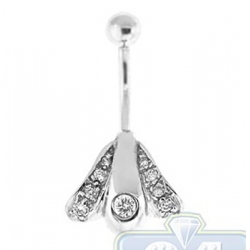 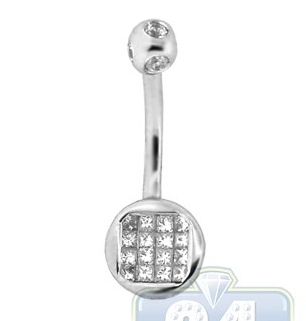 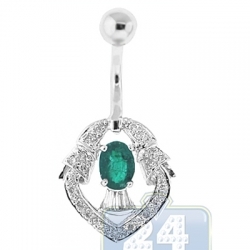 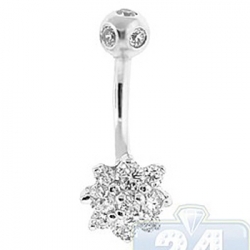 This sophisticated yet simple belly ring is the perfect accent for any outfit. 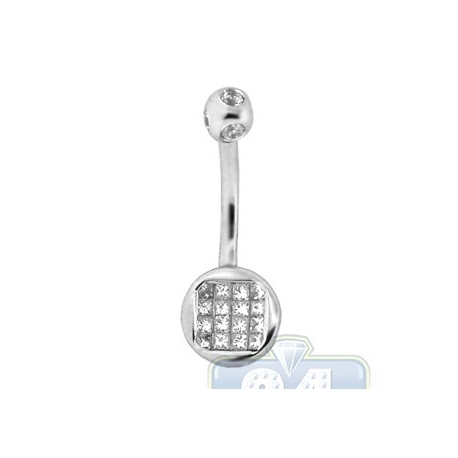 The classic setting of 16 white diamonds is designed to show off the incomparable sparkle of the brilliant cut princess diamond. 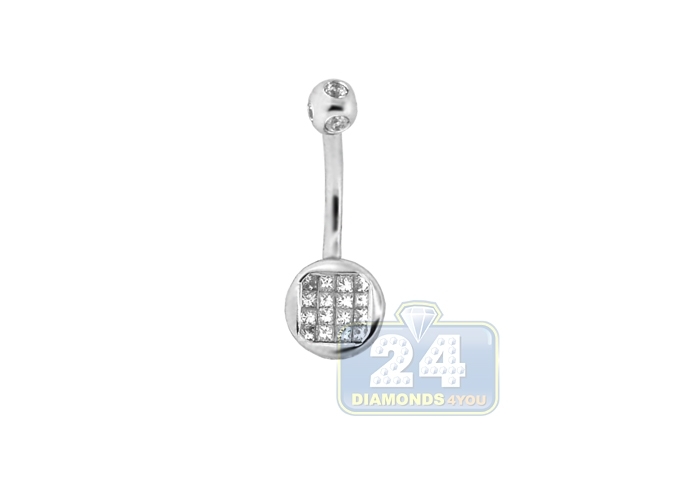 Professionally handmade in lustrous 14k white gold with G-H color, SI1-SI2 clarity of diamonds and weights 1.97 grams, 24 x 8 mm are dimensions of the piece.